Antarctica Is Gaining Ice, Not Losing It. So What Does that Mean for Global Warming? Good news. A recent study by NASA shows data from the Ice, Cloud and land Elevation Satellite (ICES) indicates that there have been “mass gains from snow accumulation”that “exceeded discharge losses” from the thinning glaciers. For a long time, researchers attributed the cause of rising sea levels to melting land-based ice and thermal expansion. However, this study puts the former under scrutiny on at least one major continent: Antarctica. Antarctica constantly loses ice on its Western side while gaining on its Eastern side. Until now, scientists thought that the loss is greater than the gain. 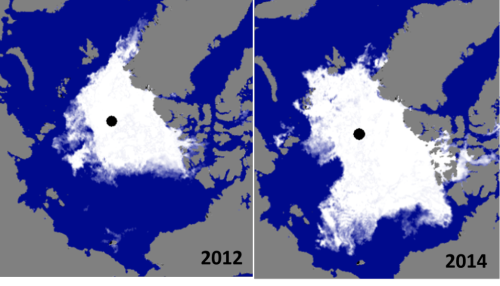 However, new studies show that gaining of ice on the Eastern side outpaces the loss on its Western side. This news also adds some confusion. Researchers have noted a rise in the world’s sea levels since the 20th century–1,01 to 2.5mm per year. Out of this total sea level rise Antarctica’s melting ice sheets contributed around 0.27 millimeters per year. This doesn’t mean that climate change isn’t real, it just means that there are some other factors in play that we have yet to discover. However, living friendly with Nature is always the best decision we can all make, it does no harm to anything or anyone.